Our products are widely used in oil industry, medicinery industry, food industry, machinery industry and so on. 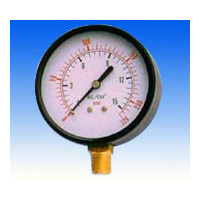 Our products mainly includes dry or utility pressure gauge, liquid filled pressure gauge, ammonia pressure gauge, refrigeration pressure gauge, tire gauge, fire extinguisher pressure gauge, bimetal thermometer, capillary thermometer, glass thermometer, household thermometer etc with good quality and very competitive price, mostly for overseas markets. Our products are widely used in oil industry, medicinery industry, food industry, machinery industry and so on.